(Music Sales America). 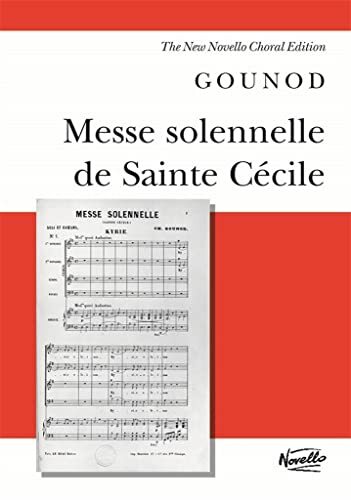 Available here is the vocal score of Charles Gounod's Messe Solennelle De Sainte Cecile , for Soprano, Tenor and Bass Soloists, SATB Choir, and Organ accompaniment, as edited by Michael Pilkington. 2. Messe Solennelle de Sainte Cecile: For Soprano, Tenor and Bass Solists, Satb and Orchestra or Organ And/Or Piano Ad Lib.